Most Pharmaceutical organizations today have seen the benefits of their initial Content Management (Encompasses Collaboration, Document Mgmt and Workflow) efforts on improving new drug submissions processes. 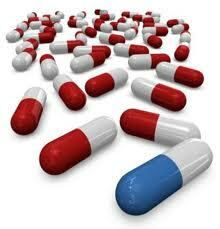 As the market for new drugs moves forward the methodology for moving new drugs into the market is changing. The goal of any Content Management System is to provide the Pharmaceutical organizations with a repository of reusable up to date content, streamline process and ensure quality. To understand Pharmaceuticals and how new technologies can help you must understand Market Dynamics. Market dynamics are driving pharmaceutical organizations to evolve the ways they sell and market their products, launching a few new (Did you know the patents for many popular drugs will expire soon? Once that happens the revenues fall due to margin shrinkage – competition, commoditization) products instead of one increase the chances of getting a market winner – did you know that most products fail to make it to market. Regulatory enforcement of advertising and promotion content has forced a change in the way information is presented and ultimately scrutinized – this is a lengthy, complex and costly process. So where do Pharmaceutical organizations start? By creating a solid content strategy and user adoption plan, based on a fine-grained content strategy and Information Architecture – the goal is to create THE place to go for information and support. Sharing information, empowering staff with as much relevant and timely information as possible as rapidly as you can will help provide the edge staff requires to be successful. Additionally, the need to exchange and use this information in order develop and deliver products to market faster and an increasing demand for sharing of content between public and private labs and partners is why Pharmaceutical organizations are seeking out new technologies and processes for addressing this need. The solution (Technology and process) must provide secure sharing of content across the organization – that includes external business partners. Don’t under estimate the complexity of this task! Most Pharmaceutical companies are global in nature and therefore have a diverse geographical structure resulting in a highly distributed/complex IT infrastructure (Note many are trying to simplify through consolidation to lower their cost structures). This means that content and associated data is being created and stored in dispersed locales (islands of information) – not a good thing. The impact is that there is no central place to go for storing, categorizing, retrieving and managing content. To compound the dilemma further, few organizations have taken the time to create an Information Architecture (IA) that organizes its content and associated work flow procedures into an efficient organic whole – I’m rarely ever provided with an IA when consulting with customers. Most organizations don’t have the skill sets and therefore just don’t understand IA – information management as a whole. The challenge today for IT is how to raise awareness of the value of new technologies (Such as SharePoint, Office Communication Server) and apply them to the business chain. An integral part of this new strategy is embracing the Internet and Intranet as an intricate part of their business (e.g. supporting a mobile workforce, integrating partners etc…) and marketing tactics. Pharmaceutical organizations are now looking for new ways of leveraging new technologies to create a competitive edge. What else should Pharmaceutical companies be thinking about? Doctors want instant access to drug content online. Patients want access to drug-related information (e.g. my Doctor prescribed Avelox for my sinus problem, I Google’d it as soon as I got home to learn more) at any time and place that suits them. All corporate constituents expect access to relevant content in the most convenient way possible and to want to get it anytime and anywhere. As the amount of relevant content increases, so does the utilization (greater leverage of information assets), which lowers the cost of support, strengthens brand, and creates dialog amongst staff. Want more information? A direct link to the PDF.